During pregnancy, the shifting of weight bearing structures accompanied by connective tissues, such as tendons and ligaments, becoming loose can lead to lower back pain. Lakewood Ranch Advanced Chiropractic and Physiotherapy can treat this pain safely through chiropractic adjustments. He has a table which can modified to accommodate the changes in your body and he will modify the adjusting techniques as necessary during the course of your pregnancy. Chiropractic care can help provide freedom from nerve irritation which could be vitally important in insuring your child's healthy, normal development. Adjustments also help to insure your pelvic bones are in proper alignment, which may result in an easier delivery with less chance of injury to you or your child. 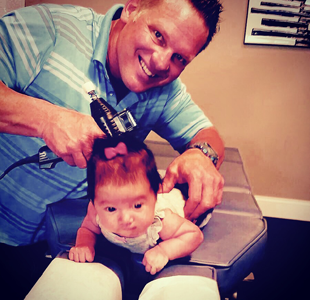 How Does Lakewood Ranch Advanced Chiropractic and Physiotherapy Treat Children? Lakewood Ranch Advanced Chiropractic and Physiotherapy modifies chiropractic treatment techniques to be appropriate for your child's size and needs. He uses very gentle pressure to correct spinal position and help ensure proper spinal development. Treatment may also include exercises and nutritional counseling. At birth, infants' spines are a single c-shape, lacking strength to hold their heads up. As they grow and develop muscle structures, balance and coordination, their spines develop the 3 natural curves found in adult spines. There are many ways to ensure proper spinal development of infants and maintaining chiropractic health in children. Supporting your newborn's neck and head while lifting is vital to proper development. Contact Advanced Chiropractic & Physiotherapy in Lakewood Ranch, FL with any concerns.